Please help HSE El Paso with a donation towards our greenhouse. Any contribution would be welcome. Below is a donation letter attached with further details. HSE El Paso is having a job fair from 9:00 am to 1:00 pm on Saturday April 21st. Below you can find the link to apply for a job. The upcoming school year is approaching and we would like to get your input as to which campus you would like your child to attend as they continue their Harmony education. As you know, Harmony School of Excellence – El Paso (HSE) only has two(2) sections of 6th grade available-56 slots. The remaining 56 students would attend Harmony Science Academy – El Paso (HSA). HSE and HSA offer the same academic opportunities for students in 6th grade. Please use this form to select which campus you would like your child to attend for the 2018-2019 academic school year. Campus preference is not guaranteed, as selections will be on a first come, first serve basis for the 56 slots. Student forms not received by April 20th, 2018, will be placed into a lottery. Campus preference needs to be completed by Friday, April 20, 2018. Please use the link* below to choose your campus preference. *This link/form will also be emailed to your email address on file. Please confirm your email address with the front office. 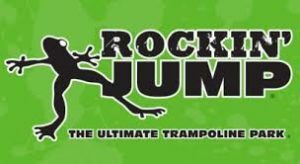 Please fill out the form below and use the link provided to complete the Rockin’ Jump’s waiver. If a form and waiver are not completed for your child, he or she WILL NOT be able to attend the field trip. The field trip is on April 17, 2018. Please fill out the form and submit a completed waiver (for yourself and your child) by April 10, 2018. After April 10, 2018 the form will be closed.